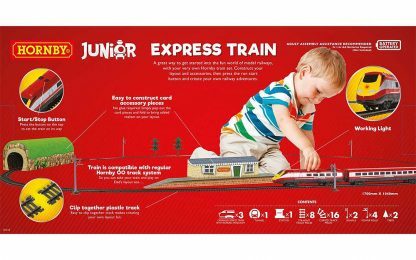 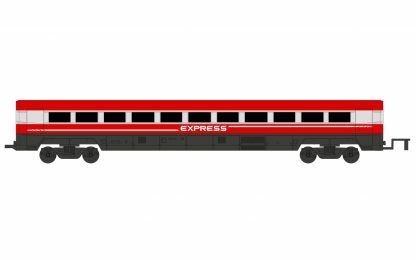 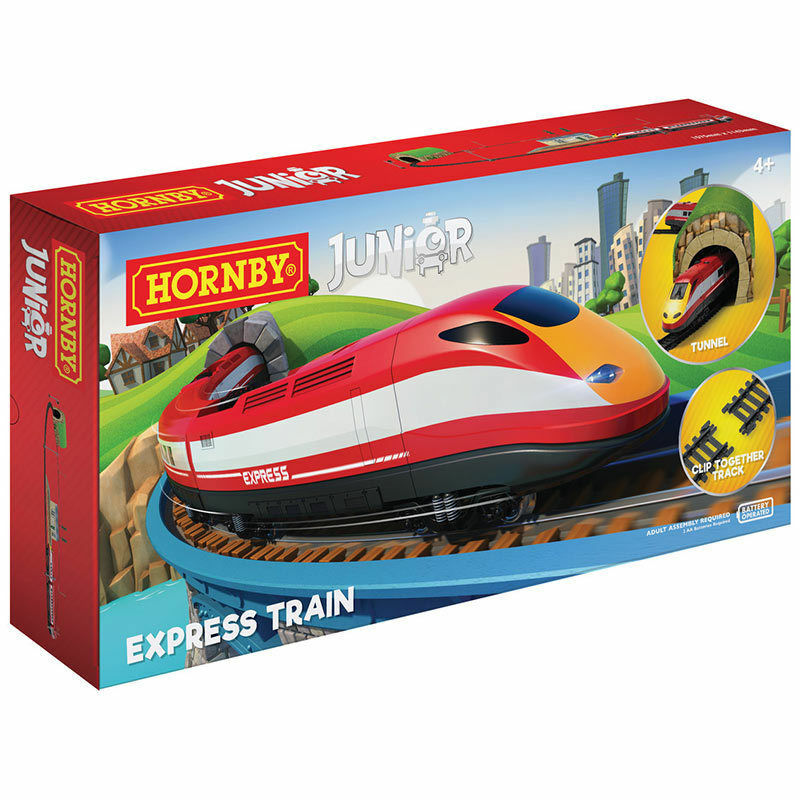 A great introduction to the fun world of model railways for kids aged 4 and above with the Hornby Junior Express train set! 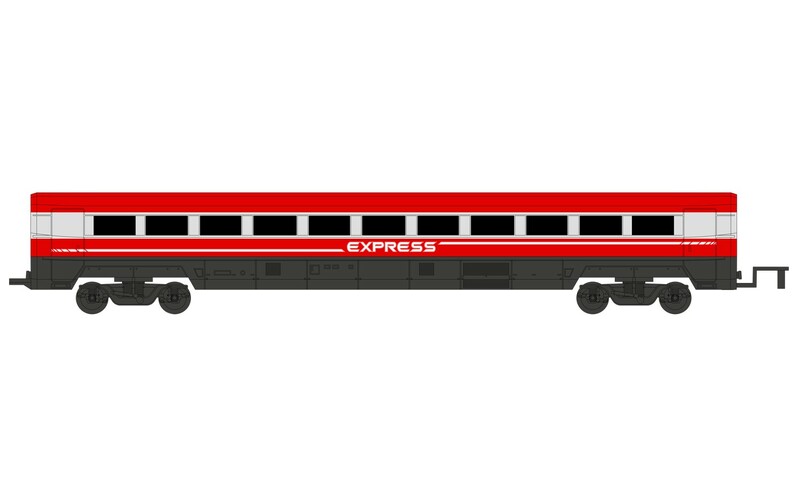 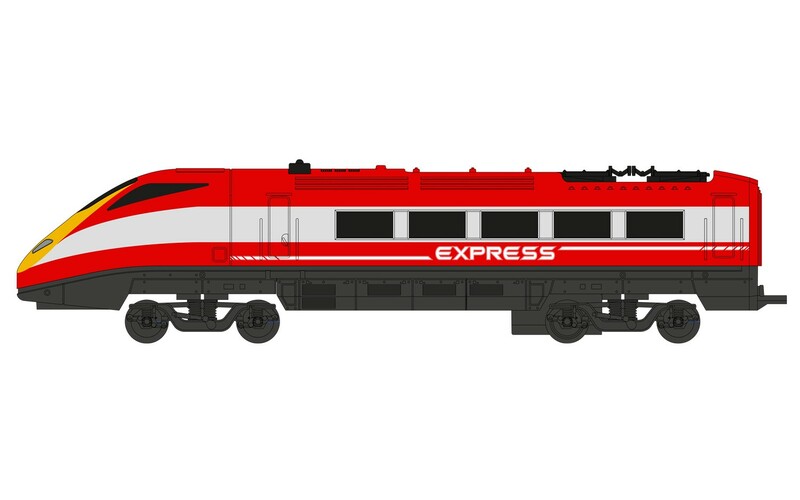 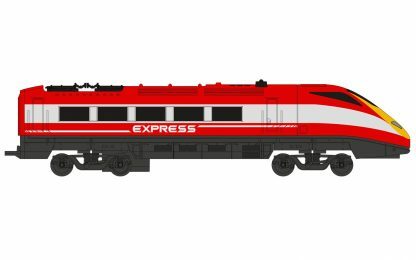 Simply fit together your track and scenery, press the start button on top of the train and create your own railway adventures with this high speed Express Train! 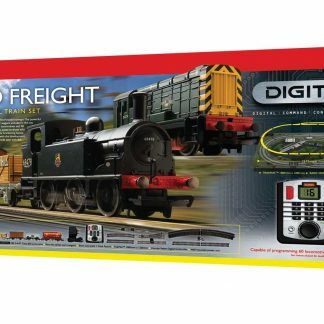 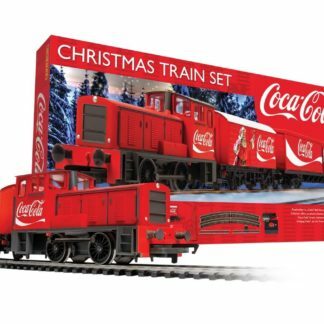 Once you’re ready – move the battery powered loco on standard OO gauge track! 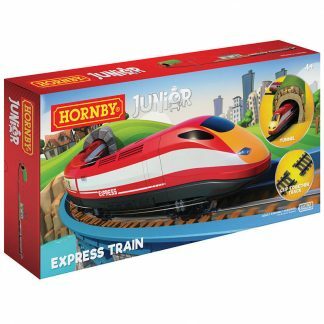 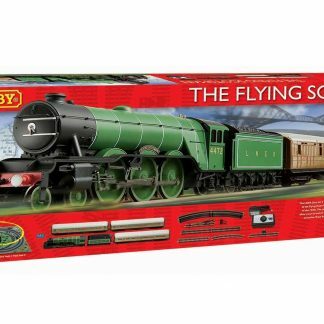 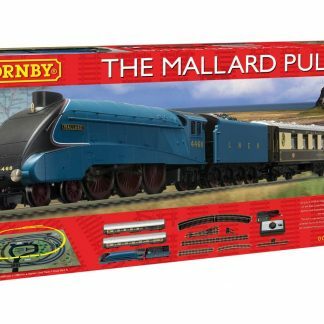 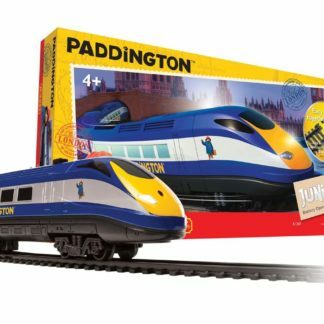 A great way to get started into the fun world of model railways, with your very own Hornby train set. 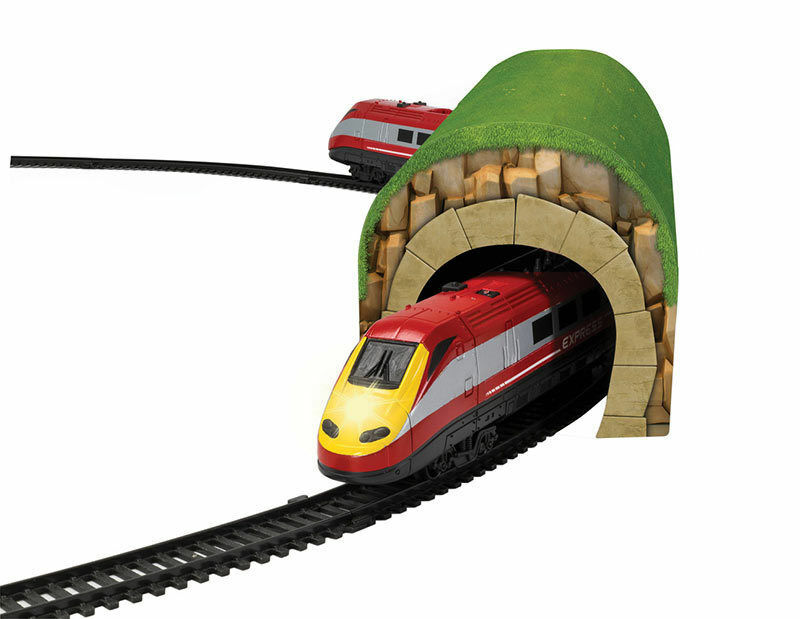 Construct your layout and accessories, then press the run start button and create your own railway adventures – compatible with regular Hornby 00 track systems.